This article was originally published on December 3, 2015. December 3rd, 2015 marks the twenty-fifth anniversary of the NFL’s postgame prayer circle. What started as a Monday night game experiment between two team chaplains has resulted in a prayer movement in which players engage following every NFL game today. What prompted the first gathering? One man had a vision of using an NFL rivalry for the glory of God. Twenty-five years ago the 10-1 New York Giants, led by Phil Simms and Lawrence Taylor were to face the 10-1 San Francisco 49ers, led by Joe Montana and Ronnie Lott, in a highly anticipated Monday night game. The broadcast would have the largest Monday night audience up to that point in NFL history. Pat Ritchie was the 49ers chaplain at the time; knowing that this game would see enormous media coverage, he saw an opportunity for greater impact. Picking up the phone, Pat reached out for a partnership. Pat’s vision came to him where many great ideas originate—in the shower. Little did he know that Dave had also been searching for an opportunity to bring faith into the bright lights of the football field. 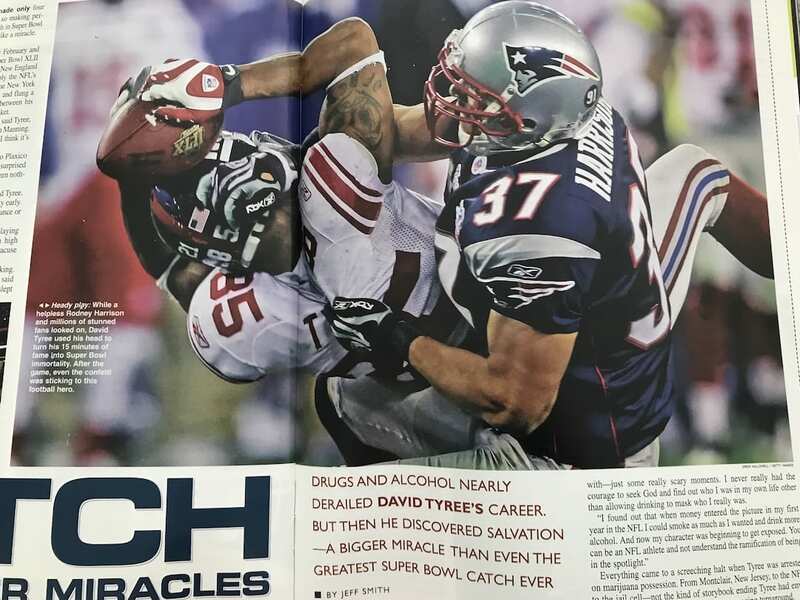 Ever since Giants tight-end, Howard Cross first planted a seed in the chaplain’s mind, Dave had been longing to act. With excitement for their shared dream, the two chaplains sought a way to bring it into reality. Wanting to take best advantage of the media coverage surrounding the game, they chaplains decided that a post-game prayer would be most effective. Pat suggested the 40 yard line, closest to the scoreboard. Dave thought the 50 yard line would be more memorable and less confusing, but he agreed to the 40. Monday night came. Viewers hoping for all-out war were not disappointed. The game was extremely competitive and close. With a final score of 7-3, the 49ers pulled out a win, to finish what is—still—the lowest-scoring game in Monday Night Football history. What he didn’t realize at first glance was that the crowd was gathered around a fist fight between a Niner and a Giant. “I thought, ‘This isn’t gonna happen,’” says Pat, reliving his amazement. But Dave —and the media— saw something else. On the 50 yard line, there were seven 49ers kneeling down in prayer, despite what was going on 10 yards away. From that game on, the players never stopped praying. Each week following, Dave would contact the Giants opposing teams’ chaplains, with the same proposal to pray. Week by week, the chaplains found players that agreed to gather in prayer with their opponents after competing. The Giants found themselves facing the Buffalo Bills again at the 1991 Super Bowl where the post-game huddle convened one last time that season, on the 50 yard line. When Fred Raines, the Bills chaplain at the time, approached his players about the prospect, they jumped on board with enthusiasm. But the post-game gathering stood out, revealing a very different intention from what fans were used to seeing. When the 1990-1991 season came to a close, the conversation about the players’ public prayer continued. In March, the NFL imposed the non-fraternization rule. According to this policy, players on opposing teams were not allowed to give a hug or shake the hand of another player after the game. Such an act would result in fines up to $25,000 for those involved. 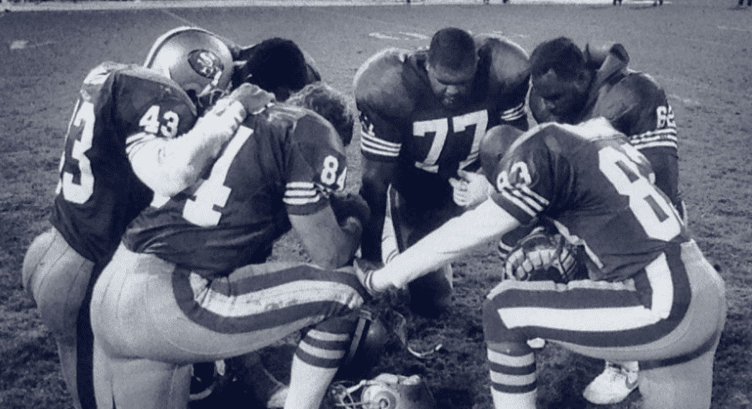 As the first game of the 1991-1992 season approached, many wondered, in light of the NFL’s apparent opposition, if the post-game prayer would resurface. On September 2, 1991, the Giants faced the 49ers to open the season. This game too was a very close, competitive one, ending with the Giants squeaking out another win. The players were watched closely. 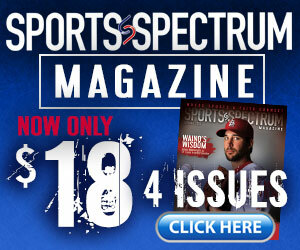 Many waited to see if the players’ desire to live out their faith would outweigh the threat of the fine. Neither the players nor chaplains knew what would be the result of their stand against the non-fraternization rule, but they acted in faith. Faith organizations and ministries contacted Pat in support, offering to defend him all the way to court if need be, but no fine was ever levied. The prayer circle has carried on ever since. The movement spread, and not only throughout the NFL: Two years after the first NFL post-game huddle, about 90 college players gathered at the 50 yard line at the end of the Rose Bowl game. Fred, the Bills chaplain for a total of 30 years, saw the great impact that the prayer circle movement continued to have in the players lives as well. He recalls a specific life that was changed through this movement. The prayer circle created a platform, not only for the players, but also for the fans to share the Gospel. It all started with a calling put on the hearts of two people, whom God positioned to be instrumental in the lives of NFL players. As they answered that call, God went to work. 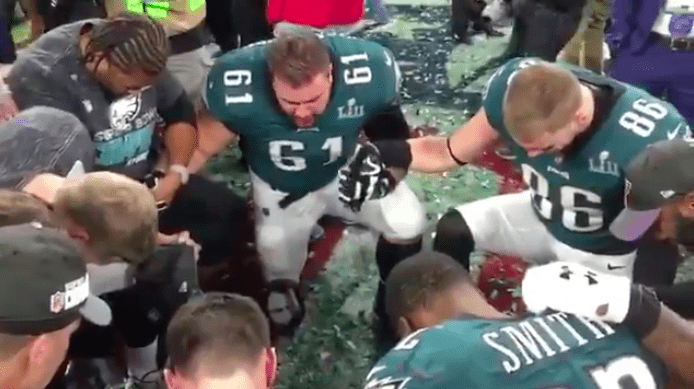 Christian NFL players continue to take the opportunity after each game to prayer with their brothers on the field. And this community continues to grow within the NFL. George McGovern, current Giants chaplain, carries on the tradition at MetLife stadium, making sure that a Giant player is ready to lead the prayer circle at every home game. Justin Forsett, Pro Bowl running back on the Baltimore Ravens, ends each game with a walk to the 50-yard line to pray with his brothers.